Tacx proudly presents the Blue, the new generation of cycletrainers for the general public. The Blue Motion, Matic and Twist are the long-expected successors of the Cycletrack, Tacx's first model ever that has been very popular for decades thanks to its excellent value for money. The same can be expected of the Blue, because you get more for less: a powerful brake that manages the resistance and a robust frame with solid back legs. 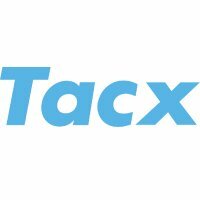 Tacx's many years of experience have resulted in the design of this stable construction that can withstand all forces. The Blue is suitable for everyone, whether you cycle a lot or just every now and then. A quick half an hour's ride before dinner? With the Blue you can start immediately. The trainer has a simplified mounting system, which makes it easy and quick to assemble. A tool set for small and big wheels is no longer needed; even 29 MTB wheels do fit.